Dr. Schold is a well-cited epidemiologist who specializes in comparing kidney transplantation outcomes to improve risk stratification. More broadly, his interests include quality metrics for healthcare providers, health services research and disparities in access to healthcare. Dr. Schold joined Cleveland Clinic in 2009. He earned a PhD in Health Services Research at the University of Florida and holds master's degrees in mathematics and statistics. He oversees ongoing monitoring and quality evaluation of the solid organ transplantation programs at Cleveland Clinic. The goal of the new center is to centralize and streamline efforts in populations health across Cleveland Clinic. Currently, individual institutes and departments do this research in relative isolation. 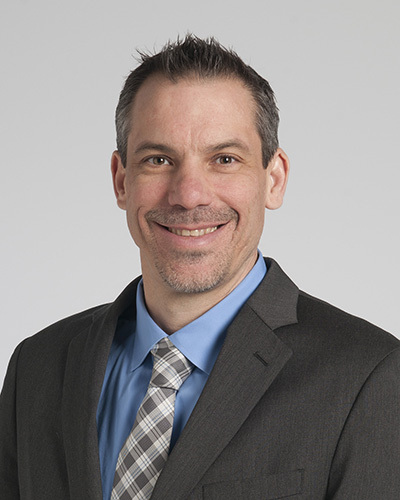 "Breaking down these silos will help expand populations health research at Cleveland Clinic, increase throughput, improve research efficiencies and inform quality and hospital strategy across the enterprise," Dr. Schold said. The CPHR will also provide education in this emerging field of research. Populations health research analyzes the health of groups of people or communities to better serve the individuals who make up those groups. It takes into consideration large-scale determinants such as social, political and economic factors that may systematically affect disease susceptibility in a group of people. In this way, populations health complements another priority research area at Cleveland Clinic—precision medicine, which seeks to reduce a person's chance of disease by acting on micro-level factors specific to that individual, such as their genetics and other chemical elements.